The gradual evolution of Gili Trawangan from backpacker's paradise to a sophisticated tropical-class dream destination is taking shape nicely for this fantastic island. 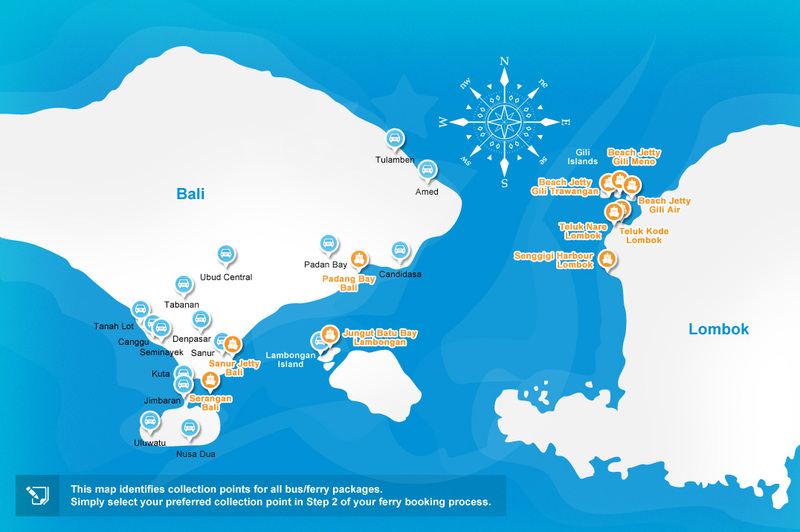 This is one great space on the map of the world, and well worth visiting, especially if you are so close as to be on the islands of Bali or Lombok because the ferries and fast boats make Gili T so accessible. This is one laid back island by day. There are no motorised vehicles, but if you want to be transported around then hey, take a cidomo, which is a horse-drawn cart. You can also rent a bicycle too, and you'll simply love it! 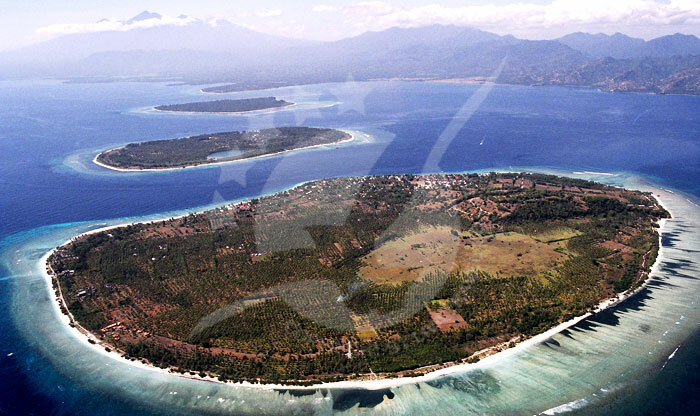 Gili Trawangan is the largest and still most popular of the three Gilis. There's a great variety of accommodation, restaurant, and nighttime entertainment with music played by highly respected DJs from time to time. 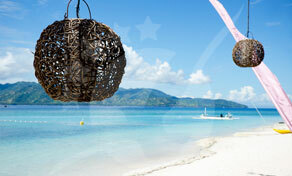 Yes, Gili T's got the ambience quite spot-on, and all on this wonderful island in the sun. 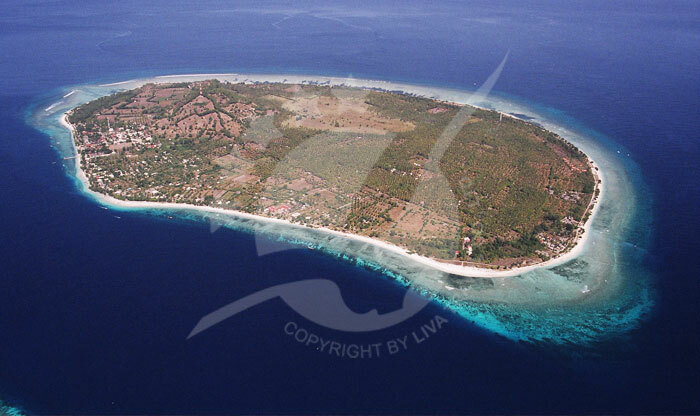 The island of Gili Trawangan is approximately 3km long and 2km wide. That makes for a really great walk, which is entirely possible, and you can cycle around the island in around 90 minutes (as long as you can traverse through the sandy sections on the west side). 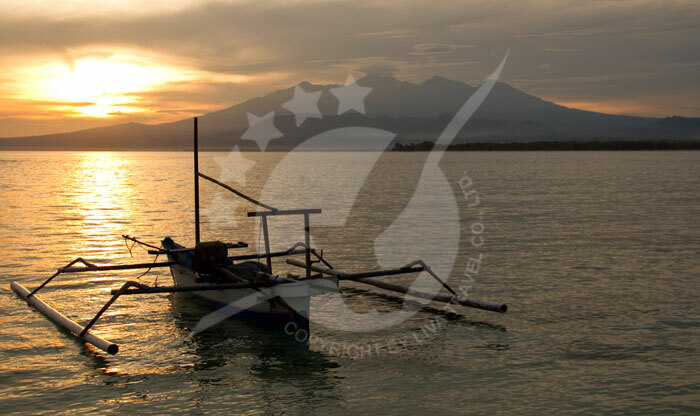 Gili Trawangan is the only Gili island with hills that rise significantly above sea level, which makes for some outstanding views. 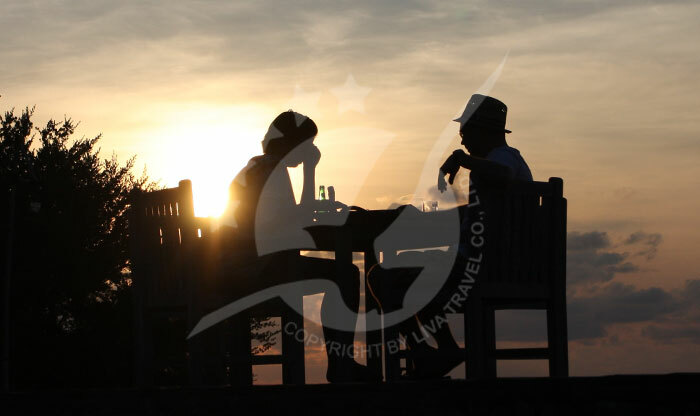 One main hill to the south becomes a really great viewpoint for amazing sunsets across the Lombok Straits toward Bali. 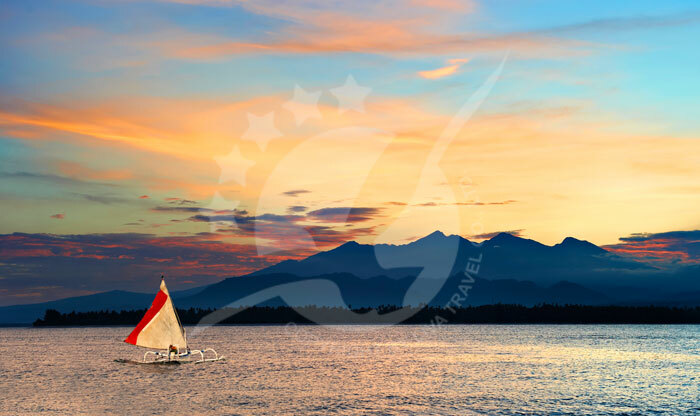 Face the other direction and witness wonderful sunrises over Gunung Rinjani on mainland Lombok. On the east coast where the boats arrive and depart, accommodation is developing within the coconut groves all the way along the side of the island, yet it is nicely done and Gili Trawangan remains so beautiful. 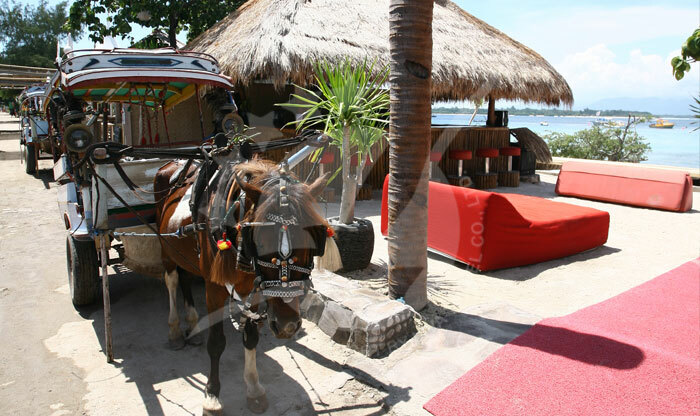 Gili Trawangan has previously been labeled a party island although it has so much more to it now. 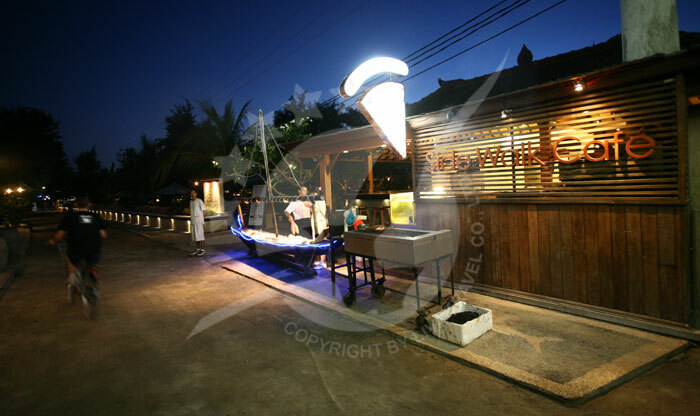 Nevertheless, the bar scene at night is lively and great fun, with the best bars coordinating well to offer a rotating special party night schedule throughout each week. Some of the parties can be pretty wild, with "full moon' parties on the beach in the high season. 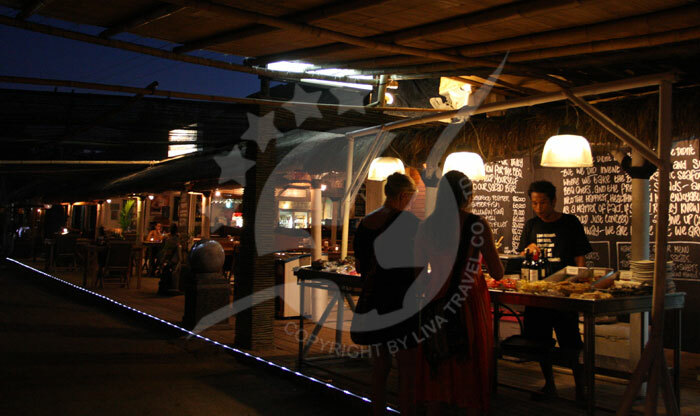 Some of the restaurants in Gili Trawangan are amazing, comparable to those found in Bali. 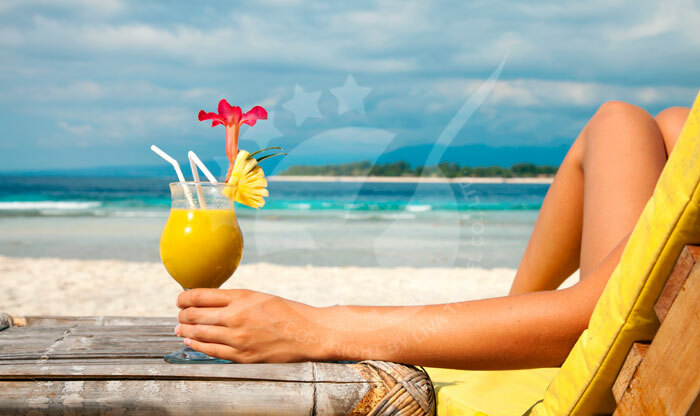 On the island, you can find sophisticated bars and lounges, Internet cafes and even movie theatres. It goes without saying that there'll be beachside cafes too. Most of the life of the island is on the east side, though in the north some nice low-key venues can be found. 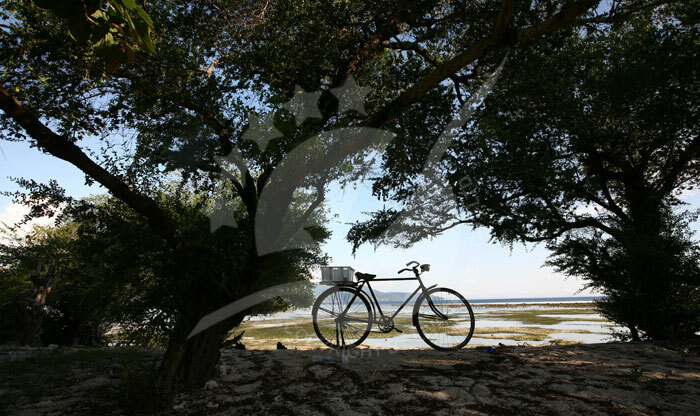 Gili T has a really nice infrastructure with good tourist facilities. 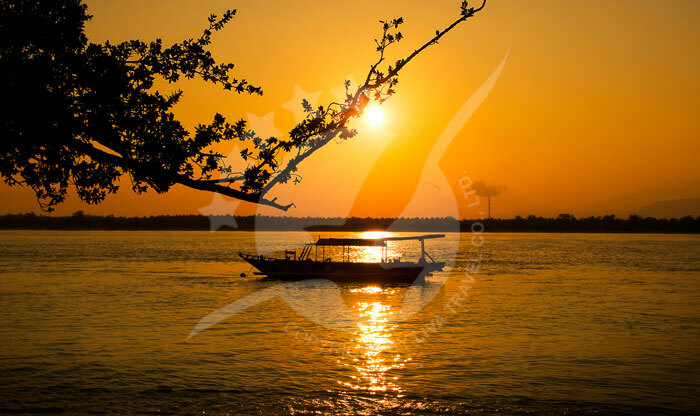 You'll be fascinated by life on Gili T.
It's been a long time since the backpackers rolled up to these shores to camp in budget beach huts for nights under the stars. 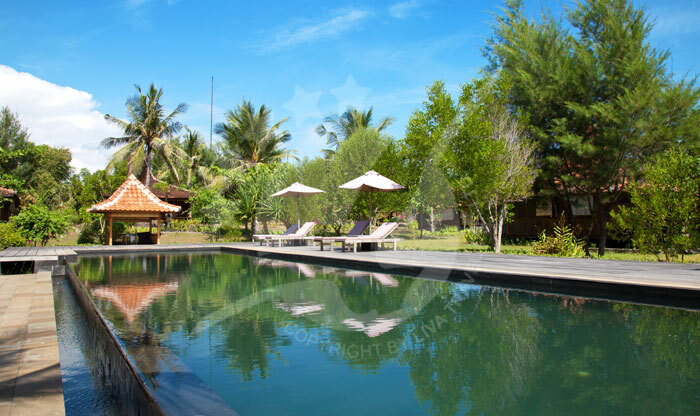 Yet, even though there's a sophisticated air about the emerging Gili Trawangan, there's still a good variety of accommodation to suit different price ranges. It's kind of a shame to see less and less of the old thatched-roof, woven bamboo island bungalows. However, the new-look nice and simple cottages more than make up for the needs of the lower budget traveller. 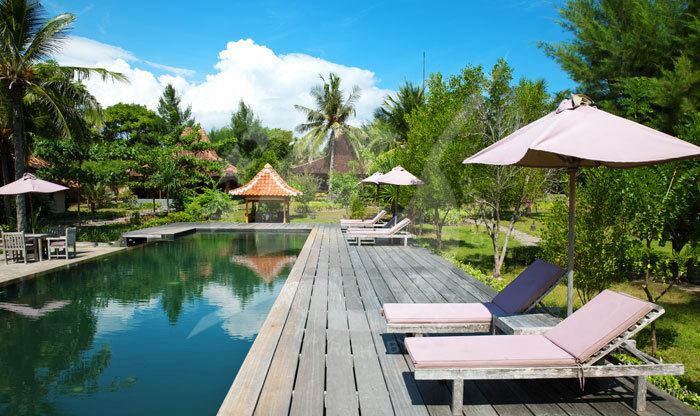 Moving way up in luxury level, there's some idyllic luxury villas and themed boutique hotels offering five-star service and amenities to serve up a classy experience for those who've come to recharge for the right charge! There's some really excellent beach front settings. 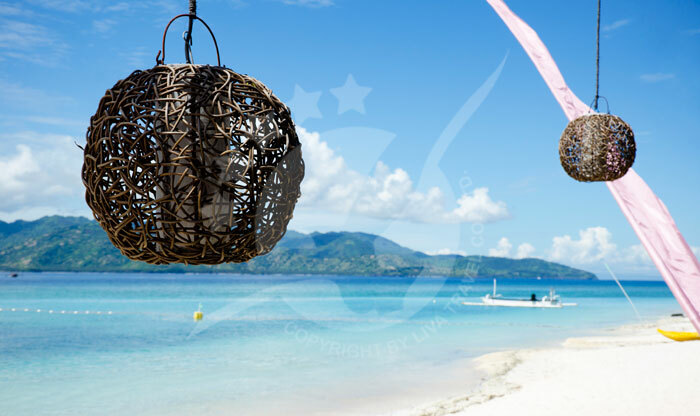 Think of Gili Trawangan and your mind casts sweet images of turquoise waters and fine white sands, tropical fish swimming amongst crystalline coral reefs. Well the images are pretty accurate because that's about right. Off shore to the northeast of the small island, you'll find one of the prettiest dive spots anywhere, where gardens of coral host colorful species of fish of many varieties. With the calm seas and warm waters, this is one beautiful spot to gain a dive certificate. Fortunately there's a number of friendly dive shops willing to train and equip you in paradise. Alternatively, take the full time-out, snoozing, sunbathing and taking cooling down dips in nature's most amazing plunge pool. This is one great way to dream away the days.